Are you having trouble raising the funds to hire a bus? If so, maybe we can help! Do you remember how much fun the “field trip” was when you were in school? Do you recall that is was even more fun if the trip was to a natural space like a park? Do you have a large group or a special topic? Did you know that this experience is not available to many youth today? Every year thousands of school students, seniors and people with challenges are not able to visit our regional parks. Why? Because there is no funding to charter a bus. 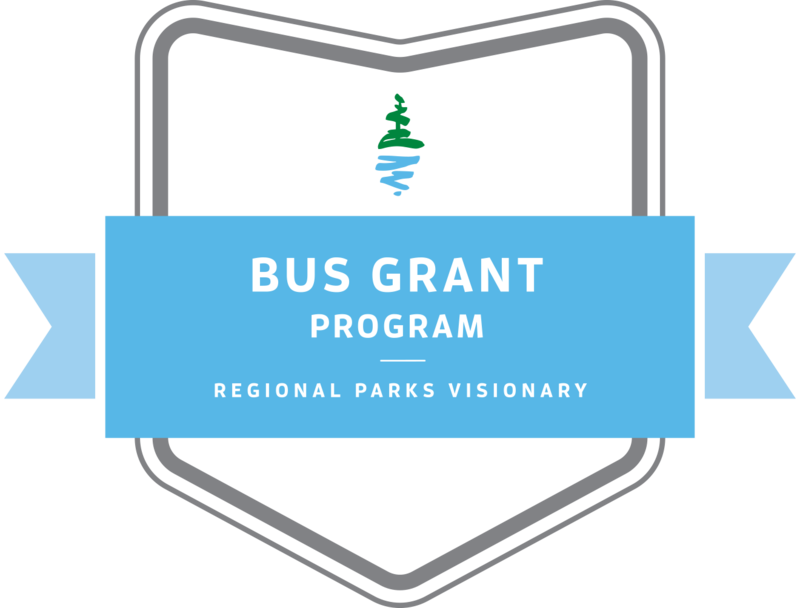 The Bus Grant Program was launched in 2017 to celebrate the 50th Anniversary of Metro Vancouver Regional Parks. This program connects children, youth organizations, community centres, senior’s groups, and organizations that support people with disabilities or who experience other barriers to experiencing nature. In 2018 we formed a partnership with YVR and as a result, we are now able to connect even more groups to regional parks. What is the date of your outing? How many people are you taking? What regional park are you planning to visit? What is the purpose of the outing? Are you using an insured and licensed vehicle with a professional driver? Any other questions, please see the FAQ’s or contact info@pacificparklands.com and put “Bus Grant” in the subject. 2. How much is available? Some grants may be available up to $1000 and will include a $250 honorarium for a guide or host. Ask us for more details. 6. Apart from visiting a regional park, what is required if my grant request is approved? We want to hear about your trip. We require that successful applicants send us a final report after their trip. Download the report below.